Our young racing team – established only in early 2013 – looks back at a truly successful debut season! power the lap time reveal it clearly: Both in RCN- and VLN-races our BMW 325i was always amongst the quickest in its class! passion we do not earn our living from racing, but racing is our passion and our life! performance in bringing power and passion together we create a most convincing performance on the track! In addition to class victories in both RCN and VLN Stein Tveten also won class V4 on aggregate in RCN. A confident victory at the 24h Nurburgring in May marked another highlight of our debut season! 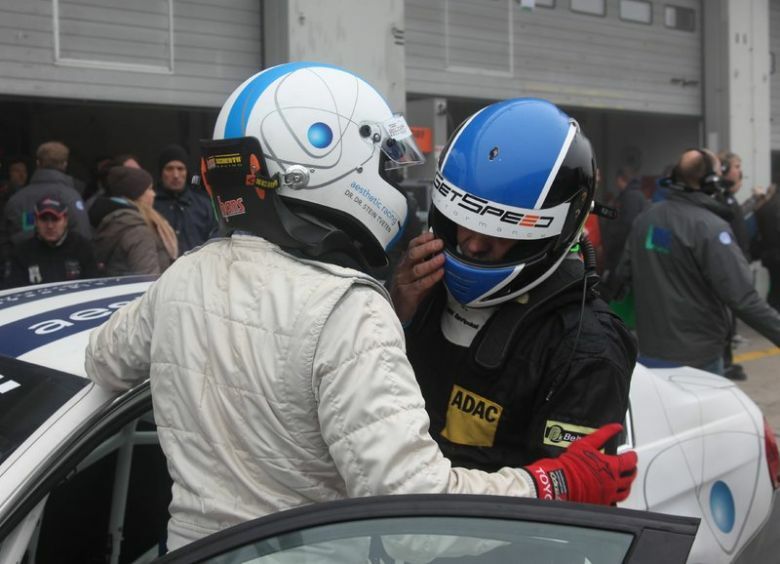 We have drives to offer for the 20 14 season in both RCN and VLN-series, as well as, for the 24h Nurburgring. Drives are being offered at fair and attractive terms. Also in 2014 our two BMW 325i, which combine speed and reliability, will be maintained and prepared in a most professional way with attention being paid to the little details, which make the difference on the track! Our prime interest is geared towards a cooperation during all the season rather than for selective races only, so as to ideally develop the potential of both cars and drivers to our mutual. Applications by female drivers are explicitly welcome! Do not hesitate to contact us for details! In close understanding with you we will elaborate an offer, which is tailor made to suit your personal needs, as well as, your budget!